The takoyaki here embodies a dramatic contrast of textures - a firm and slightly chewy outer shell surrounding an interior that's squishy and gooey, ready to come gushing out when prodded with chopsticks. The octopus, when you can find a piece, is remarkably soft and tender. Mentaiko (codfish roe) mayonnaise sauce is an appealingly spicy topping, and worth the Y50 extra; other options include tart ponzu sauce, dashi, soy sauce and plain salt. 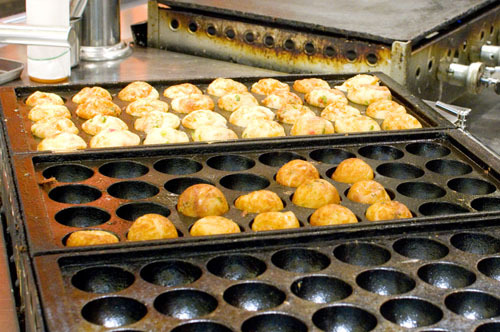 There are eight takoyaki variations in all, starting at Y450 for a plate of six, or you can spring for the Y980 twelve-piece platter which lets you compare four different toppings. The shop also serves yakisoba and several types of udon noodles as well as beer and cheap cocktails (from Y320). 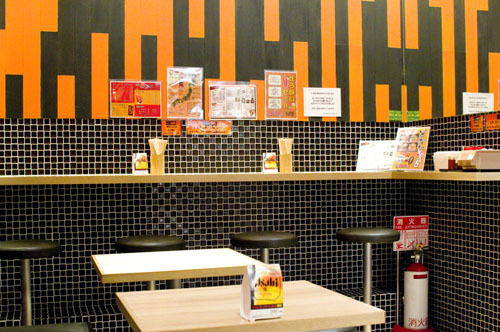 Located inside the ground-floor food hall of the Atre mall in Otsuka station, Donaiya has twelve seats and also does take-out service. 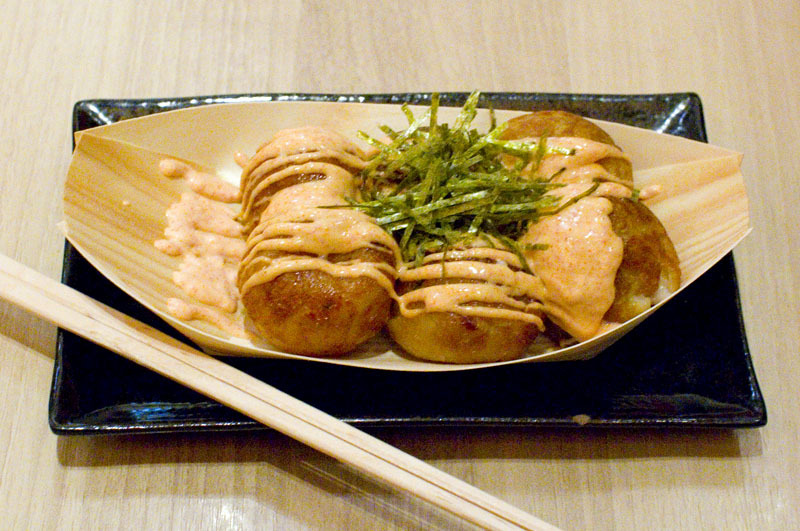 The original branch is in Osaka, the birthplace of takoyaki. 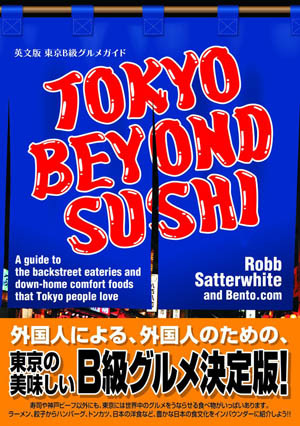 Toshima-ku, Minami-Otsuka 3-33-1, Atre Vie Otsuka 1F.